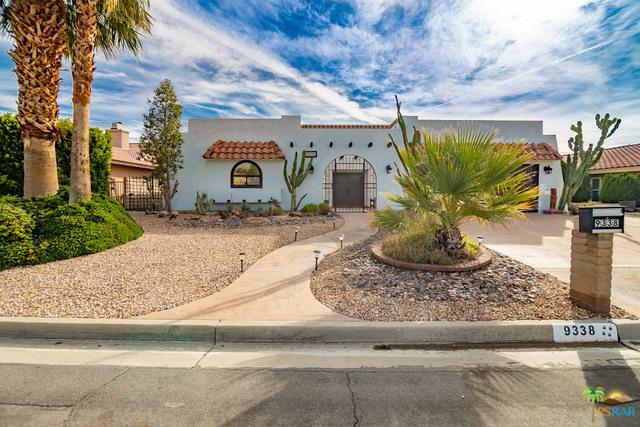 Spanish Hacienda meets New World in Mission Lakes. 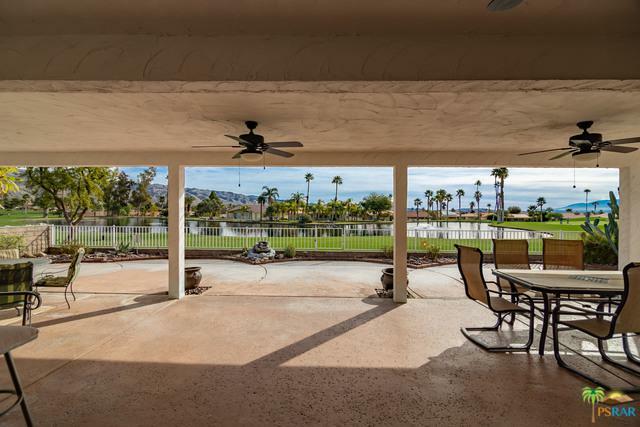 Wonderfully updated home that overlooks the golf course, lake and sprawling mountain views! Uncommonly high ceilings in living room, rock fireplace with hearth, built in bar with granite countertops. Wonderful gourmet kitchen with extremely large amount of cabinets, granite countertops, fantastic over-size covered patio, lovely dining room overlooking the lake and golf course, wooden shutters. Master bedroom has its own cozy fireplace, wood shutters, and master bath has separate shower and bath and separate sinks with granite counter tops. The middle bedroom has beautiful wood look floors which are actually tile. 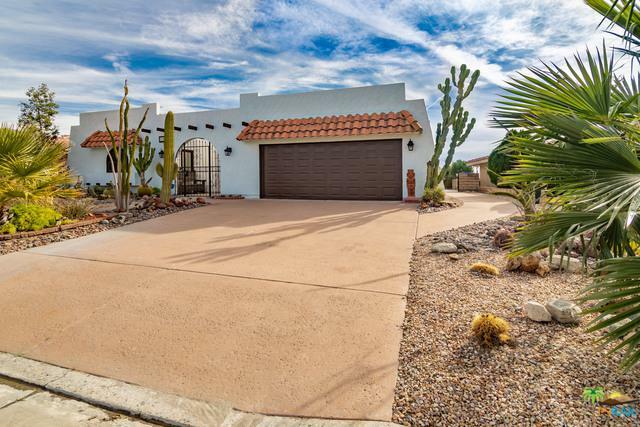 Listing provided courtesy of Marcelo Lopez of The Paul Kaplan Group Inc.
©2019 California Desert Association of Realtors. All rights reserved. IDX information is provided exclusively for consumers' personal, non-commercial use and may not be used for any purpose other than to identify prospective properties consumers may be interested in purchasing. Information is deemed reliable but is not guaranteed accurate by the MLS or The Sandi Phillips Team | HK Lane. 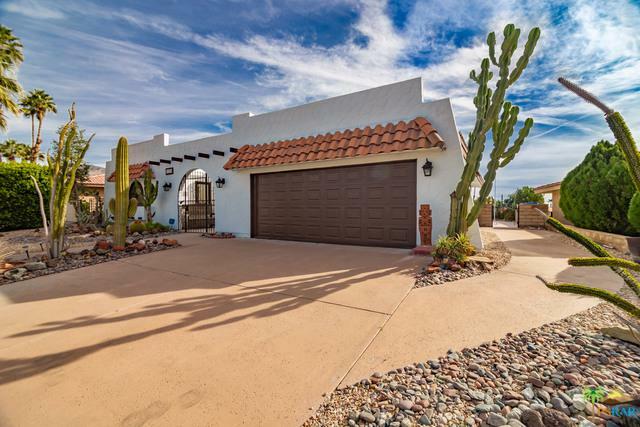 Based on information from the California Desert Association of Realtors as of 2019-04-18T12:36:59.61. All data, including all measurements and calculations of area, is obtained from various sources and has not been, and will not be, verified by broker of MLS. All information should be independently reviewed and verified for accuracy. Properties may or may not be listing by the office/agent presenting the information.